For other people named David Platt, see David Platt (disambiguation). David Andrew Platt (born 10 June 1966) is an English former professional footballer who played at both club and international levels as a midfielder. Born in Chadderton, Lancashire, Platt began his career as an apprentice at Manchester United but later moved to Crewe Alexandra where he began building a reputation as a goal scoring midfield player. In 1988, aged 22, he signed for Aston Villa and in 1989 he gained the attention of Sir Bobby Robson, the then England manager and made his debut. At the 1990 FIFA World Cup, Platt increased his continental reputation by scoring goals with both head and feet, whilst displaying passing abilities and high work rates. His performances in Italy earned him a move to Bari in 1991. In 1992, Platt moved to Juventus, where he spent one season. Platt continued scoring goals for England, playing in Euro 92 and 96. Despite his efforts, England failed to qualify for the 1994 FIFA World Cup. In 1993, he moved to Sampdoria where he stayed for two seasons before returning to England with Arsenal, taking the total amount of money spent on his transfer fees to £20 million. Platt played with the London club for three years and was part of the 1998 Arsenal team that won the Premier League and FA Cup Double; before his retirement in 1998. Platt also served as manager of Sampdoria before leaving his post owing to poor results. Afterwards, he returned to England as player-manager of Nottingham Forest. Platt also managed the England Under-21 team. Platt signed for Manchester United as an apprentice on leaving school on 24 July 1984, having been spotted playing for Chadderton. He signed professional at the start of the 1984–85 season, but was given a free transfer on 23 February 1985. Dario Gradi then signed Platt for Crewe Alexandra in the Fourth Division. He quickly established himself as a strong-running, free-scoring midfielder. He played 156 league games scoring 56 goals for the club. In the FA Cup he played three games, scoring one goal. In the League Cup he played four games, scoring four goals. Platt left Crewe on 2 February 1988, midway through the 1987–88 season. In 1988, he signed for Aston Villa for £200,000, and in his first season at Villa Park he helped the club achieve promotion to the First Division, one season after they had been relegated. He was a frequent goalscorer for Villa, and in 1989–90 took them to the brink of the league title. Although they had to settle for runners-up spot behind Liverpool, Platt was voted PFA Player of the Year. The next season, 1990–91, he continued where he left off. In a game against Arsenal he famously went in goal when Nigel Spink was injured in a 5–0 defeat to Arsenal. Platt's success with Villa was evident in his goal-scoring record. From 2 February 1988 to 21 July 1991, he played 121 League games, scoring 50 goals. In the FA Cup he scored two goals in four games, while in the League Cup he scored 10 goals in 14 games. On 21 July 1991, Platt moved to Italy to play in Serie A. He signed for A.S. Bari for £5.5 million and played 29 games, scoring 11 goals. In the Italian league, where goals were difficult to come by owing to the defensiveness of the Italian style, particularly for a midfielder, this was considered an impressive achievement. Unfortunately, the 1991–92 Serie A season ended in relegation for Platt and Bari. During his time at Bari, Platt received a phone call from Roberto Mancini in January 1992, who pressed him to come to Sampdoria. Almost from the moment Platt – the 1990 PFA Player of the Year at Aston Villa and one of Bobby Robson's shining lights at the World Cup finals of the same year – left England in a transfer-record move to Serie A club Bari, Mancini saw the asset he would be at Sampdoria, where the Italian was captain. Platt's first telephone call from Mancini came as a surprise, in January 1992. "We'd played Sampdoria a few times and I'd faced Robbie," Platt recalls. "But I didn't know him and he'd tracked my number from somewhere. He said: 'I know you've got a good relationship with your president, I'm sure you could push through a move to us.'" In the end, Platt chose Juventus. In June 1992, Platt was signed for Juventus for £6.5 million. In domestic competitions Platt struggled to maintain a first-team place in the Juventus team that season, which possessed many stars. He did score a decisive goal against S.S.C. Napoli in a 4–3 victory, giving the team a chance at the league title. He also helped the Turin club win the UEFA Cup. Platt wasn't listed on the substitutes bench, however he picked up a medal as part of the squad and lifted the trophy after the final. In Serie A, he scored three goals in 16 games. Mancini persisted despite his move to Turin. "Every two weeks he would be on the phone, pressing me." When things quickly failed to work out in Turin, the move Mancini wanted finally did happen. "Juventus played Sampdoria, Robbie was playing, so I was marking him and hovering around him, hoping he would say something," Platt remembers. "I've always suspected I wasn't on Sampdoria's list that summer, because their president wanted to sign Marco Osio from Parma but he ran the transfer list past Robbie, who had much of the say. I soon made the move." Platt signed for Sampdoria on 14 July 1993 for £5.2 million. Platt won the Coppa Italia (Italian Cup) in 1994 under Swede Sven-Göran Eriksson, who would manage the England national football team from 2001 to 2006. By the time his Italian career came to a close, he was a technically experienced player, possessing dribbling, passing and finishing skills equal to the best. Platt played for exactly two years, until 14 July 1995. He played 55 League games for Sampdoria, scoring 17 goals. Arsenal signed him for £4.75 million on 10 July 1995. Platt was signed by David Dein as one of the first signings under new manager Bruce Rioch. Rioch cut short a holiday in Portugal to bring Platt to Arsenal. Platt had been offered a two-year extension to his contract with the Genoese club, but his mind was soon made up after talking to Rioch in Sardinia where he was on holiday. "Arsenal made it clear that they really wanted me," Platt said. "My talks with Bruce Rioch were exceptional. We hit it off straight away. He is a great communicator with some exciting ideas on tactics and a definite view on how he sees me fitting into his plans." The feelings were mutual. "I'm delighted to sign a player of David's calibre," Rioch said. "I have admired him for a long time and through these discussions with him I have been very impressed by his knowledge, ambition and desire." In his first season, Arsenal finished fifth in the league and qualified for the UEFA Cup, although Rioch was soon sacked following a dispute with the board and succeeded by Frenchman, Arsène Wenger. His first season at Highbury produced six goals from his 29 league appearances, with his first goal in an Arsenal shirt coming in a 2–0 win at Everton in the second game of the campaign. Platt was a regular in Wenger's first season, in the 1996–97 season, with the North Londoners and scored four goals in his 28 League outings, mainly alongside young Patrick Vieira in the centre of the Arsenal midfield. Wenger boosted his midfield department during the summer of 1997 with the arrival of French pair Emmanuel Petit and Gilles Grimandi. The manager's preferred central-midfield pairing was Petit and Vieira and they were very effective during the Gunners double winning season of 1997–98. This severely limited Platt's appearances and he was to make just 11 starts during the season, with a further 20 substitute appearances. He still managed to make a vital contribution to Arsenal's season, however, with a superb headed winner in a 3–2 victory over Manchester United at Highbury. That proved to be Platt's last season with the Gunners as he opted to take a year out from the game to study coaching before making the move into management. Early in the 1997–98 season, Arsenal accepted a £1.5million bid from relegated Middlesbrough for Platt, but the transfer never happened and Platt saw out the season at Highbury. Platt was given his first England cap by Bobby Robson in a friendly against Italy in November 1989, and was then included in the England squad when Robson named his 22 player-squad for the 1990 World Cup. "I started as a substitute. I can remember little snatches of the game. John Barnes having a volleyed goal harshly disallowed, Belgium hitting the woodwork twice, I can still see Enzo Scifo hitting the post with a tremendous strike from 25 yards. I was at the other end of the bench from Bobby Robson and didn't have much contact with him. Having since been a manager I now know that the emotions he must have been going through were far more intense than mine. I came on for Steve McMahon [in the 71st minute]." I had an eye for getting on the end of that sort of ball and the technical ability to finish those chances off. I worked hard on practising overhead kicks and volleys in training at Aston Villa but, even so, if I had re-enacted that chance against Belgium 10 times in training the next day there's a very good chance I wouldn't have scored once from it. It was just one of life's rare, perfect moments." "The one place where things didn't go right was almost as soon as I left the pitch. One minute I was euphoric and the next I was being hauled off for a random drug test. It was hot and you're so dehydrated after playing that it took 40 minutes – which passed very, very slowly – for me to produce a sample. I was in a room with a couple of Belgians who were seriously unhappy because they'd just been knocked out. I didn't know what to say. By the time I came out the other players all had their suits on and the euphoria had passed". With captain Bryan Robson having suffered an injury in the game against the Netherlands, Platt started the next game—a quarter-final tie against Cameroon—as his replacement. He scored the opening goal from a header after a cross from Stuart Pearce on 25 minutes. Cameroon took a 2–1 lead, but were eventually beaten 3–2 after extra-time. Platt missed an opportunity to extend England's lead, shooting wide with seconds remaining. Platt kept his place in the semi-final against West Germany. It finished 1–1 at full-time, and extra-time was needed. Platt had a headed goal disallowed in extra time. The game was drawn and went to a penalty shootout. He scored England's third penalty, despite Bodo Illgner, the German Goal Keeper, getting a hand to the ball, but the next two were not converted and England went out of the tournament. Platt ended the competition on a personal high by scoring his third goal of the finals in a 2–1 defeat by Italy in the third place play-off. Roberto Baggio had given the Italians the lead after a mistake by Peter Shilton. On 81 minutes, Tony Dorigo crossed from Platt to place a powerful header right into the corner of the Italian net, past Walter Zenga. Italy won the game when Paul Parker fouled Salvatore Schillaci. Schillaci scored the penalty kick. After the World Cup he retained his starting place in the England team, now managed by Graham Taylor, his former manager at Villa. Platt became England's most consistent performer of the early 1990s, scoring goals with frequency from midfield and proving an inspirational leader. He was captain for much of this period, though Tony Adams also skippered the side. The official England history regarded him as a tireless runner and tidy passer, leading by quiet example providing inspiration at a time when it was a rare commodity. At one point it said, "it seemed as if he had been granted the copyright on England goals". For the UEFA Euro 1992 qualifying, England was drawn in UEFA Euro 1992 qualifying Group 7 with Ireland, Turkey and Poland. Platt contributed one goal to the qualifying phase, in a 1–1 away draw with the Irish. It was decisive, as England won the group by a single point, eliminating the other three nations. Platt also scored several goals in friendly games. His tactic involved running from deep midfield positions, arriving late into the penalty area, to pick up upon a pass. It made him difficult to pick up by defenders. He scored two goals against the USSR and one against Argentina during the 1991 England Challenge Cup, which England won. Platt also scored against Brazil, and claimed another two against Finland in the lead up to the tournament. At Euro 1992 tournament, England were drawn in UEFA Euro 1992 Group 1 with Sweden, France and Denmark. In the opening game Platt missed several chances to win the game for England. After only 12 minutes, Peter Schmeichel saved a shot a point blank range that Platt was unable to connect properly with. The game ended 0–0. In the match against France, Platt nearly scored with a diving header which went inched wide of the post, the game ended 0–0. England needed to beat hosts Sweden to advance to the semi-finals. Lineker crossed for Platt to open the scoring on four minutes, with a miss-kicked volley. However, England wasted several chanced to extend their lead. Platt made a pass to Tony Daley who wasted a chance to pass to Lineker in the open. England held a slender 1–0 lead at half-time. After half-time, the Swedes changed their personnel and formation, and dominated the second half, scoring twice to win 2–1. England were eliminated. 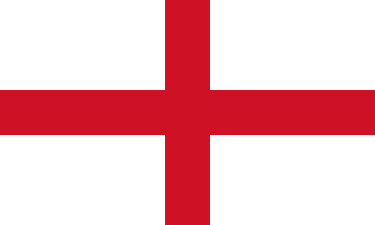 England were drawn in 1994 FIFA World Cup qualification (UEFA – Group 2) for the 1994 FIFA World Cup qualification (UEFA), along with Poland, Turkey, San Marino, the Netherlands and Norway. The opening of the qualification phase began at home against Norway. England dominated the game and Platt carried the goal threat, with Alan Shearer and Ian Wright struggling to find form. He scored the opening goal after an hour. England still dominated the remainder of the game, and were unlucky to concede a long-range shot from Kjetil Rekdal. Platt continued his drive from midfield in wins over Turkey at home (4-0) and San Marino (6-0). Platt scored four goals and missed a penalty against the Sammarinese. Platt also scored in 2–0 away win against Turkey. John Barnes crossed from a free-kick for Platt to score with a headed goal. England's campaign seemed to be getting back on track. In a crucial home game against the Netherlands, Platt scored the second goal to put England 2–0 up against the Dutch. A defeat would have ended Dutch hopes of qualifying after a home draw against Poland and a defeat away to Norway. However, Dennis Bergkamp pulled a goal back before the break. England controlled the match still, but the Dutch scored a penalty four minutes from time for a 2–2 draw. In general, the team struggled to find form in the spring and summer 1993. England drew 1–1 away in Poland, with their opponents missing several glaring chances. Days later, England lost 2–0 to Norway in Oslo. Platt miss-controlled a pass from Gascoigne which would have put him one-on-one with the goalkeeper Erik Thorstvedt which would have given England the lead. Thereafter, the Norwegians outplayed the English, and Platt had few chances to make a difference to his team. In the summer, England travelled to America with England to take part in the 1993 U.S. Cup, which would give England crucial experience in American conditions. Platt missed the "humiliating" 2–0 loss to the United States through injury. In the second game, he came off the bench to score with his first touch against Brazil, giving England the lead. It ended 1–1. Platt scored in the final game against Germany, equalising via a well-worked passing move with Paul Ince, allowing Platt to tap into an empty net. England lost 2–1. At the start of the next season England improved, with a 3–0 home win against Poland which Platt played a part in. With two games left, Norway had won the group, leaving England and the Dutch scrapping for second place. Level on points, England would be satisfied with a draw, as long as they could record a big away win against away against San Marino. The game was played at a furious pace. Both sides had chances and Platt went close to scoring from a corner. With an hour gone, the score was 0–0. Andy Sinton played a through ball with allowed Platt a clear run on goal. Ronald Koeman fouled him just outside the area. If Platt was wrong to claim a penalty he was right that the Dutchman be sent off for a blatant professional foul. The referee failed to do so, and Koeman opened the scoring minutes later with a free-kick and England lost the game. England won in San Marino 7–1, without Platt scoring, but the team finished third in the group and were eliminated. Taylor was sacked. Platt had scored 7 of the 29 goals scored by England in the failed attempt. His replacement, Terry Venables, kept Platt in his squads. Platt scored the first England goal in the Venables era in March 1994 against Denmark, and also netted against Greece and Nigeria. However, a series of rivals arrived into the England team to displace him. He was not helped by a string of injuries to his left knee which reduced his effectiveness as a tireless midfielder. Players like Steve McManaman and Darren Anderton emerged, and Venables decided to employ Paul Ince and Gascoigne in central midfield by the time Euro 1996 came round. Platt had to settle for a place on the bench. In the warm up game against Hungary, he scored his 27th and final goal for his country. This made him the second-highest scoring midfielder in the history of the national team. Only Bobby Charlton scored more, and he played as a centre forward, as well as an attacking midfielder. Platt's goal tally has since been surpassed by Frank Lampard. Platt appeared as a substitute in most of the Euro 1996 games, and started the quarter final against Spain as Ince was suspended. In the semi-final against Germany he also started, playing the entire 120 minutes of the game. Platt was nearly involved in winning the game for England. In the second minute of extra time, he sent McManaman through on the right side of midfield, and he delivered a cross to Anderton, who hit the post. Had it gone in, the golden goal rule would have seen England in the final. The match ended 1–1 at the end of extra time, and once again penalties decided the winner. As in 1990, Platt once again scored in a penalty shoot-out against Germany, but equally similarly, ended up on the losing side. Platt retired from international football soon afterwards, having been capped 62 times and scored 27 goals since his debut against Italy on 15 November 1989. Of this total, 55 appearances were made as a starting player, and seven were made as a substitute. Within months of leaving Arsenal, Platt returned to Sampdoria as manager, a controversial stint which ended prematurely, with other clubs protesting that Platt did not have the appropriate coaching qualifications for managing in Serie A. Platt resigned before Sampdoria were relegated to Serie B. In July 1999, Platt was appointed manager of Nottingham Forest, who had just been relegated from the Premier League. He actually made a playing comeback in the 1999–2000 season, playing three Division One games, and scoring once against Crystal Palace at the start of the following season. He was manager at the City Ground for two seasons, but had little success despite spending several million pounds on players who did not perform well and plunging the club into large sums of debt. Platt's tenure at Forest was marred by disagreements with several experienced, long-serving players, leading to them being isolated from the first-team picture and subsequently released by the club. He is still hugely unpopular with many Forest fans who blame him for the club's decline on and off the field during the 2000s, which culminated in relegation to the league's third tier four years after his departure. Platt was appointed manager of the England U21 on 17 July 2001, which brought a little more success than his stint at Forest. He guided them to qualification for the U-21 European Championships in 2002. He left this role after failing to qualify for the 2004 tournament and was succeeded by Peter Taylor. Platt is now seen as a media pundit often for England U21 matches. 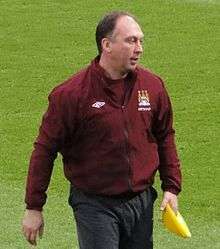 On 1 July 2010, Platt was hired as first team coach at Manchester City alongside manager (and former teammate) Roberto Mancini, a decision that was not well received by many City fans because of his perceived anti-City stance as a pundit. He has previously written a regular column for FourFourTwo magazine, commenting on tactics. On 14 May 2013, Platt left his assistant manager role at Manchester City following the departure of the manager Roberto Mancini. On 27 May 2015, Platt was announced as the head coach of FC Pune City of the Indian Super League. After one season, Platt was confirmed to not be returning to the Indian club for 2016. Platt is fluent in Italian owing to his time playing there. England: The Official F.A. History, Niall Edworthy, Virgin Publishers, 1997, ISBN 1-85227-699-1. ↑ Edworthy 1997, p. 147. 1 2 3 "David Platt: 'I wanted to turn Robbie down, but of course I couldn't say no'". The Independent. London. 15 April 2011. ↑ J-Rock. "July 21 – David Platt signs for Bari". On This Football Day. Retrieved 24 February 2012. ↑ "Goal.com's Top 50 English Players: David Platt (34)". Goal.com. Retrieved 24 February 2012. ↑ "Italian Football: Platt's header lifts Juventus". The Independent. London. 8 March 1993. ↑ Lawford, Mark (17 February 2009). "Charles, Platt, Souness, Walker, Rush and Gascoigne - the best and worst British footballers who've played in Italy". Daily Mail. London. ↑ Witzig, Richard. The Global Art of Soccer, p. 167. 1 2 3 White, Clive (11 July 1995). "Platt in pounds 4.75m move to Arsenal". The Independent. London. ↑ "David Platt Arsenal profile". Sporting-heroes.net. Retrieved 24 February 2012. ↑ Metcalf, Rupert (8 August 1997). "pounds 1.5m Platt ponders Boro move". The Independent. London. ↑ Edworthy 1997, pp. 138–139. ↑ Edworthy 1997, p. 138. 1 2 3 Taylor, Louise (18 June 2010). "World Cup 2010: David Platt relives Italia 90 volley against Belgium". The Independent. London. ↑ Edworthy 1997, p. 141. ↑ Edworthy 1997, p. 144. ↑ "Italy v England, 1990 World Cup Third Place play-off, 7 July 1990, Bari". Englandfootballonline.com. 3 April 2005. Retrieved 24 February 2012. ↑ "England v USSR and Argentina, 21 and 25 May 1991". Englandfootballonline.com. 11 November 2005. Retrieved 24 February 2012. ↑ "England v Brazil and Finland 17 May and 3 June 1992". Englandfootballonline.com. 11 November 2005. Retrieved 24 February 2012. ↑ Granville, Brian England's Managers: The Toughest Job in Football 2007, ISBN 978-0-7553-1651-9 p. 176. ↑ "England v France 14 June 1992". Englandfootballonline.com. 11 November 2005. Retrieved 24 February 2012. ↑ "England National Football Team Match No. 688, 17 June 1992". Englandfootballonline.com. Retrieved 24 February 2012. ↑ Granville, Brian England's Managers: The Toughest Job in Football 2007, ISBN 978-0-7553-1651-9 p. 177. ↑ "England v Sweden 17 June 1992". Englandfootballonline.com. 11 November 2005. Retrieved 24 February 2012. ↑ "Havn't we met before? Turkey 0-2 England: Goals from Paul Gascoigne and David Platt see Graham Taylor's England win 2-0 in Izmir - the last time England won in Turkey". The FA.Com. London. 10 October 2003. ↑ Edworthy 1997, pp. 151–153. ↑ Lovejoy, Joe (3 June 1993). "Norway destroy Taylor's England: Calamity in Oslo as a revamped team collapses in the face of Scandinavian skill". The Independent. London. ↑ "US Cup, June 1993". Englandfootballonline.com. 11 November 2005. Retrieved 24 February 2012. 1 2 3 4 5 Edworthy 1997, pp. 154–155. ↑ "Five-star England". The FA.Com. London. 16 August 2006. ↑ "England top scorers (positions and goals identified)". Englandfootballonline.com. Retrieved 24 February 2012. ↑ "England v Spain, European Championship 1996 Quarter-final, 22 June 1996". En.archive.uefa.com. 22 June 1996. Retrieved 24 February 2012. ↑ "England v Germany, European Championship 1996 Semi-final, 26 June 1996". En.archive.uefa.com. 26 June 1996. Retrieved 24 February 2012. ↑ "England v Germany, European Championship 1996 Semi-final, 26 June 1996". En.archive.uefa.com. Retrieved 24 February 2012. ↑ "David Platt England statistics". Englandfootballonline.com. Retrieved 24 February 2012. ↑ "Platt quits as Sampdoria coach after six matches". CBS Sportsline. Reuters. 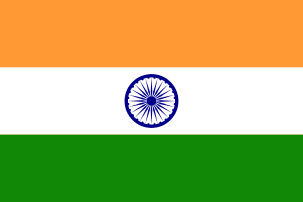 2 February 1999. Archived from the original on 5 May 1999. Retrieved 28 September 2014. ↑ "Crystal Palace 2-3 Nottm Forest". BBC. 28 August 2000. Retrieved 16 February 2010. ↑ "City fans' fury over arrival of 'anti' Platt.". The Sunday Mirror. 4 July 2010. Retrieved 1 January 2011. ↑ "Platt quits Man City". ESPN. 14 May 2013. Retrieved 14 May 2013. ↑ Suchindran, Aravind (27 May 2015). "Platt in the City". Pune Mirror. Retrieved 27 May 2015. ↑ "Platt Speaks to Italian media after Dortmund game". 5 August 2010. Retrieved 5 August 2010.